Chris Harris, British motoring journalist and new host of Top Gear, is one of the most well-respected journalists in our field. If someone wants to know how a performance car is to really drive and slide about, they ask one of two people: Jeremy Clarkson or Chris Harris. Harris has been known, over the years, to tell it like it is and even give very harsh reviews of beloved cars. 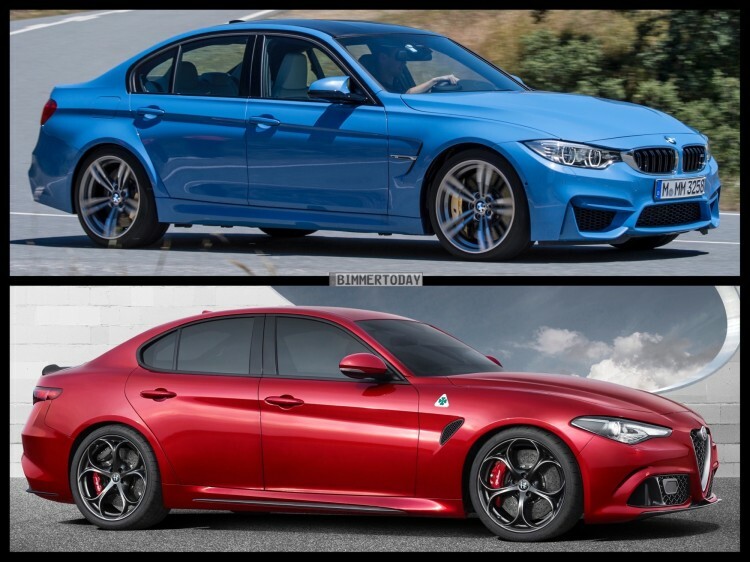 So when he tested the new BMW M3-fighting Alfa Romeo Giulia Quadrifoglio, we took notice. At first, Harris tests the Giulia Quadrifoglio on some epic and gorgeous Italian roads. On the road, he claims the Giulia to be more comfortable than the BMW M3 and that’s an important factor in choosing one of these cars. Being that they are mostly going to be driven on the road, they need to be comfortable. Plus, the BMW M3 has always been the everyday performance car, so it should be comfortable and the new one sort of isn’t. The Giulia, however, is said to be much nicer over rough pavement. It’s also quieter than the M3. 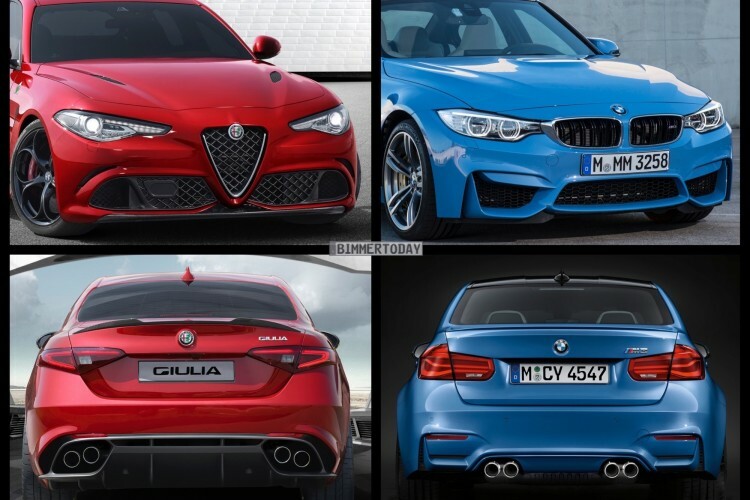 But everyone wants to know if the new Alfa Romeo is a better driver’s car than the M3. To find out, Harris takes it to the track at the home of Alfa Romeo to find out. There, the Giulia Quadrifoglio is rather impressive. Its 2.9 liter twin-turbocharged V6 develops a whopping 503 hp and that makes it very, very fast. Harris also claims that it might be the best turbocharged engine he’s ever driven, in terms of being responsive all the way through its powerband. Many turbocharged engines deliver all of their grunt in the mid-range and start to run out of breathe at the top of the rev range. The Alfa’s engine revs all the way out nicer than the M3’s does. It also sounds better, with a lovely, typically Alfa V6 growl. Harris also feels that the Alfa is probably a bit quicker than the M3. But it doesn’t launch off the line like the M3, because its torque doesn’t punch you in the face immediately, like the M3 does. It needs revs, but that makes it a bit more exciting. The six-speed manual transmission Harris had in his tester didn’t get the same rave reviews. He felt the throw was rubbery and the clutch wasn’t very good. He actually claimed that he wasn’t upset by the manual not coming to the UK, as the ZF eight-speed auto would probably be the better choice. In terms of handling, the Alfa supposedly has a very good front end. The steering is nicely weighted and very responsive and the front-end grips very well. The back end also likes to slide quite a bit and the chassis is very well balance, so it will hold those slides nicely. Harris claims it isn’t quite as sharp as the M3, and there might be some added rubber subframe bushings to blame for that, but it’s not far off. It is most certainly fun to drive, though. In the end, Harris’ opinion of the car is about spot-on with what we had assumed prior to the Alfa’s release: Objectively, as a performance car, it’s not quite as good or as sharp as an M3 is. However, it’s more comfortable to drive, it’s better looking and has a lot more character. So while it is only about 8 or 9/10ths of the sports car that the M3 is, it makes up for that by being more exciting, more interesting and more comfortable. I think that when this car goes on sale, it will give M3 buyers some serious doubts. I’m a BMW fan and, personally, it would be a very tough decision for me as well.